It’s so nice to be back in California for the holidays. I grew up in the north but went to college and spent quite a few years living down in Orange County. A lot of my friends still live in the area, and even though my visits over the past couple of years have been few and far between, it’s great to know that you can pick up exactly where you left off with some people and that time and distance just don’t matter. My friend Marissa is doing great things. Those of you who attended the Weekend with the Oliviers event in London in 2010 may remember her. 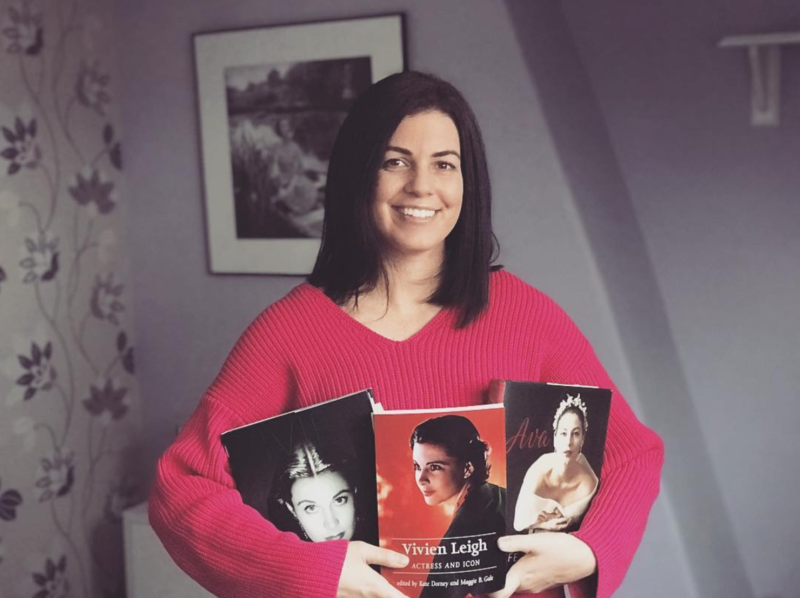 She’s really bright, loves classic cinema, and last year moved from New York to LA to pursue and MA in archiving (exactly the kind of thing I’d love to do!). Move over, Keeper of the Archive at Anything-Film-Related! 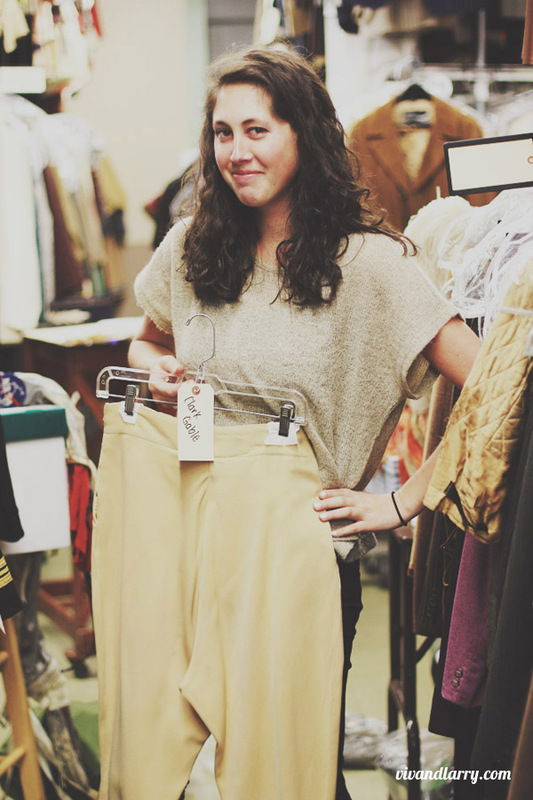 Recently, Marissa wrapped up an internship sorting and cataloguing costume sketches at Western Costume Company, and took me along for a backstage tour. Western is celebrating its centenary this year, having been an integral part of the Hollywood community since the early silent film era. Founded by L.L. Burns and Harry Revier in 1912, Western started off providing Indian garb for western genre actor, screenwriter, director, and producer William S. Hart. 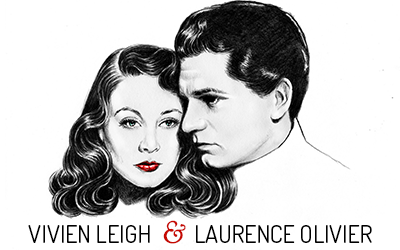 They would go on to create costumes for many of the most influential films in Hollywood history, including all of the Civil War costumes for D.W. Griffith’s The Birth of a Nation, and the men’s costumes for Gone with the Wind. They also sewed the sequins onto the ruby slippers worn by Judy Garland in The Wizard of Oz. Today, Western encompasses both past and present. 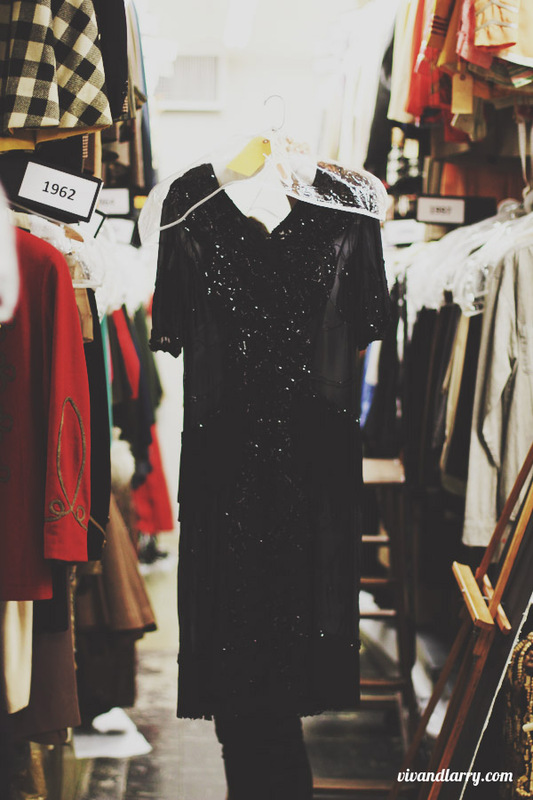 Downstairs in the cavernous warehouse, everyone from designers to milliners and seamstresses are hard at work keeping film and TV stars costumed. Upstairs is the Research Library and archive, where Marissa and I spent most of our visit. 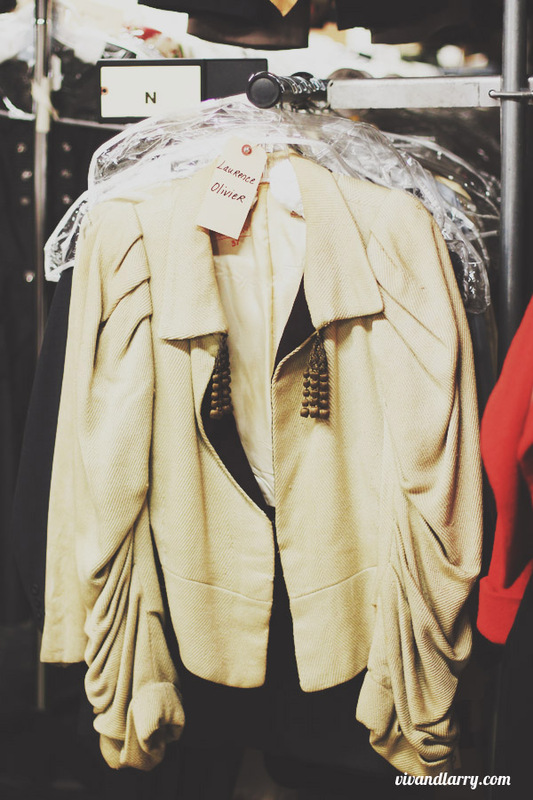 The department is headed by Bobi Garland, a former costume designer who bears a resemblance to Edith Head. 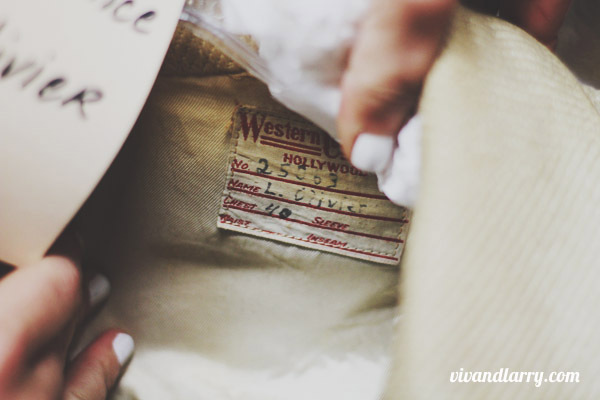 When the company moved to its current location in Burbank, Garland took charge of organizing the “Star Collection” – 6000 historic costumes worn by famous celebrities ranging from Rudolph Valentino to Laurence Olivier, Ava Gardner to Julie Andrews and everyone in between. 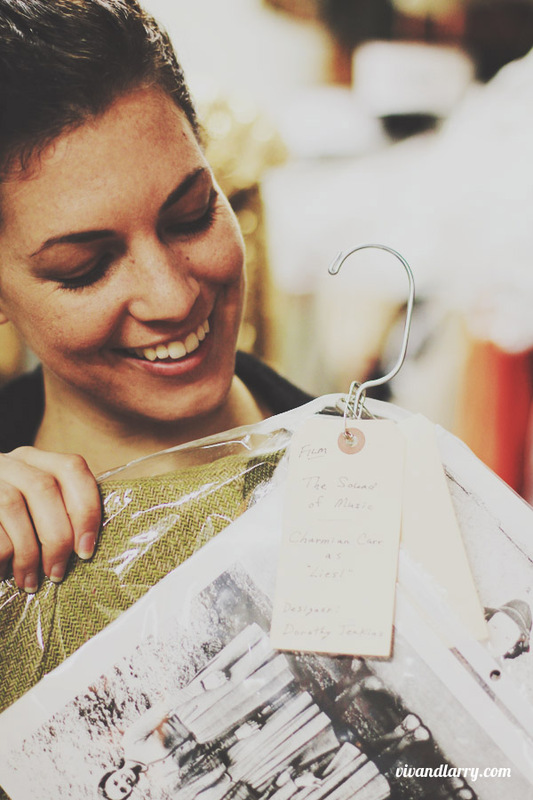 She has also served as the go-to expert on matters of costume history for many of today’s top costumers and designers. 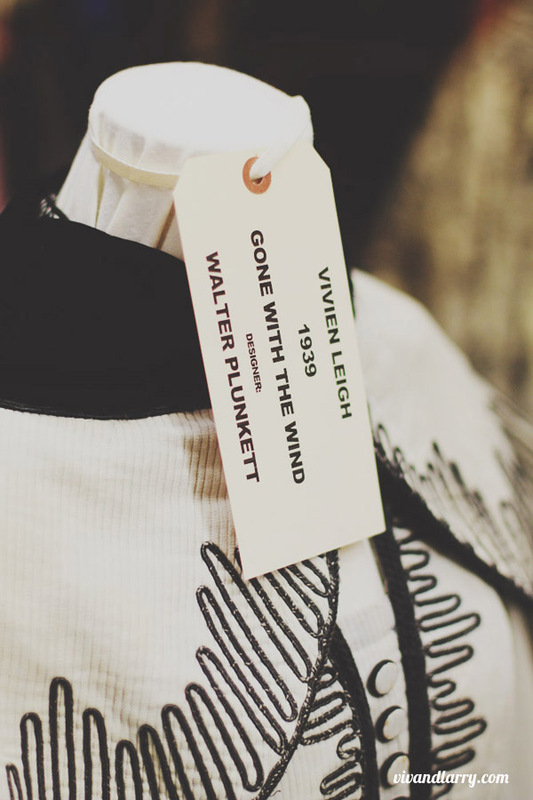 The crowned jewel of Western’s historic collection is the blue-gray “buckboard” dress designed by Walter Plunkett and worn by Vivien Leigh as Scarlett O’Hara in Gone with the Wind. I’d seen several of Vivien’s costumes from this film but never at such close proximity. You can see from the photo above how petite she really was. I was fascinated to see that the dress was constructed from what looks like corduroy, and, like all of the costumes I saw at Western, is remarkably well preserved. 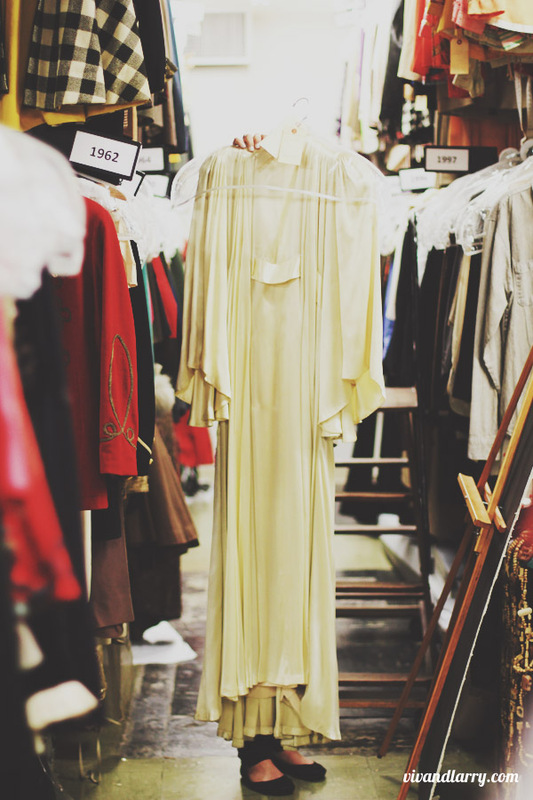 Other highlights for me included Jack Lemon’s dresses for his alter ego Daphne in Some Like it Hot, all of the Laurence Olivier costumes, one of Charmian Carr’s outfits from The Sound of Music, everything Julie Andrews, and Jean Simmons’ beautiful ivory gown from Elmer Gantry. Unfortunately, I couldn’t try any of them on this time, but it was enough just to see such a huge, integral part of film history in one place. Having spent over two years living in a country that prides itself on preserving its national heritage, it always makes me sad when I think of how big celebrity and film culture is in the States, yet so much of its history no longer exists. 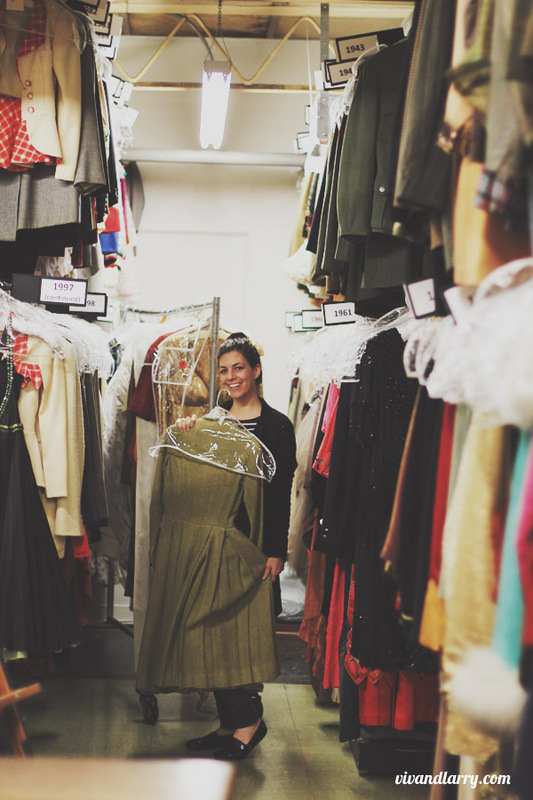 I’m glad to know that there are people working at places like Western Costume Company who make it their life’s work to see that what we do have left is well taken care of. Love this post so much! 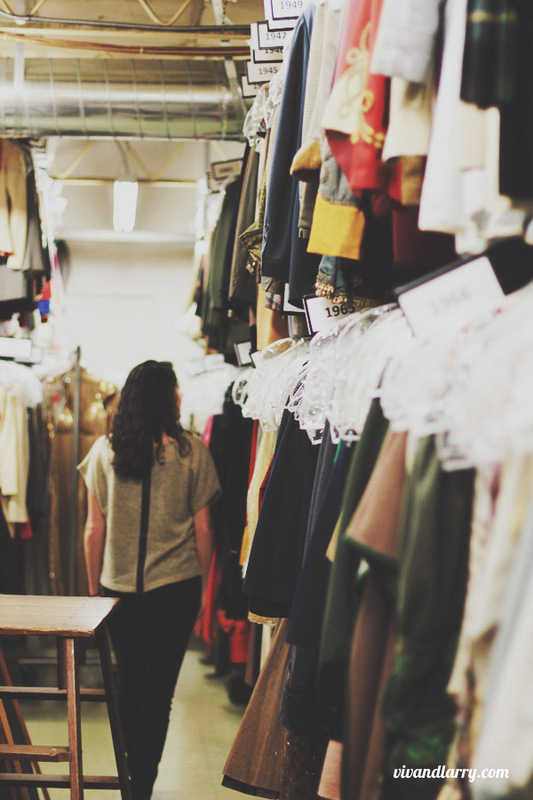 What kind of costumes can you rent from them? Or does this company only rent out their costumes to professional Hollywood production companies? It’s so fascinating! Good question. I’m pretty sure that if they do rent things out, it’s only the generic pieces in the warehouse. 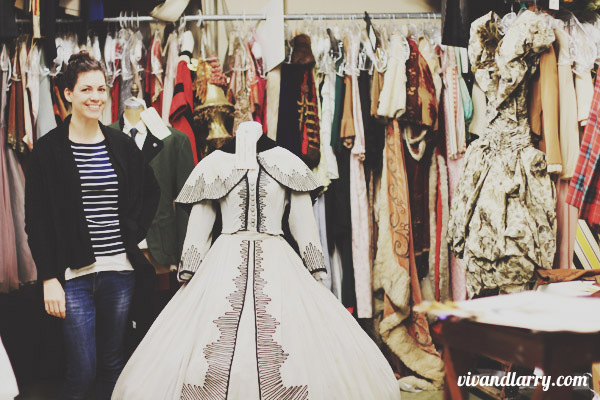 Bobi said that they don’t rent out any of the costumes in the archive upstairs, and only sometimes are they loaned out for exhibitions. Loved the post! What a great place to visit. Ahhh this is amazing! What a great trip to be able to make and great photos to match. I’ve always found costume sketches fascinating so this all sounds like something of a dream. Those costumes have me drooling all over my keyboard. They`re gorgeous! Thanks a lot for the show, Kendra ! Your friend Marissa has a wonderful occupation and she chose a very interesting career ! You’re right, every time I am in Los Angeles, I am eager to catch glimpses of this rich historic-pop culture, but it seems that so little remains… I still haven’t got over the fact that Debbie Reynolds had a huge collection, that could have been sheltered and displayed in a big new Hollywood museum, as part of the incredible heritage from the Golden Age of Hollywood, which is worldwide celebrated… But no, she had to sell her valuable pieces of memorabilia and see them scattered all over the world, in private collections… What a loss… At my next visit, in January 2013, I want to see the Hollywood museum in the Max Factor building… But besides that, what is there to see ? Of course I remember Marissa and I’m sure she is doing a magnificent job! Pieces of memorabilia should really go to museums , not simply sold( like, for istance,lately, Greta Garbo ‘s belongings had been..) be sheltered by people who care..